Swimming in the rain, at Vobster. 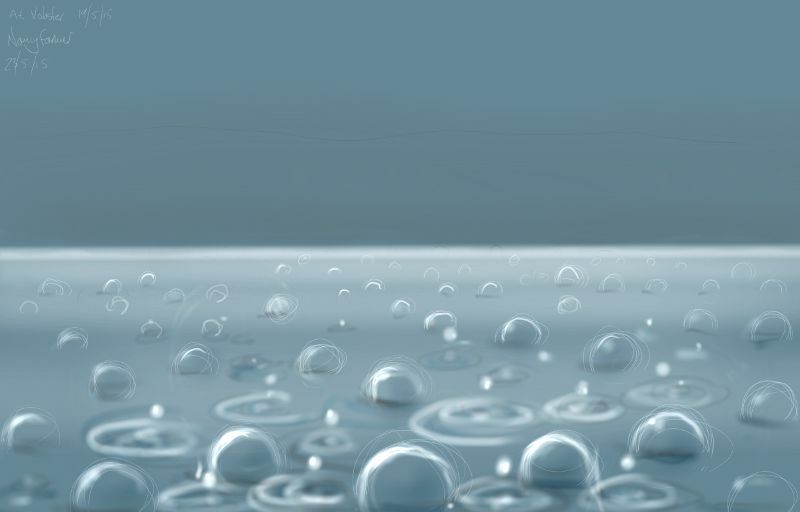 I would have liked to draw us and the bubbles all in one picture, but hard enough to get an impression of just the bubbles, on my scribbly phone… worth a scribble nonetheless, just to remember the way all the bubbles sat on the surface, just like that, each staying for a second or two but the rain was so heavy we were surrounded by them. This entry was posted in swimming and tagged bubbles, open water swimming, Vobster Quay, water, wild swimming on May 23, 2015 by Nancy Farmer. I love bubbles. Who doesn’t? Right?